We are listed at the apex in the list of prime Surgical Operating Tables Manufacturers, Exporters and Suppliers in international markets. 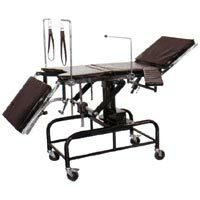 We manufacture Surgical Operating Tables from high quality material ensuring its long functional life. 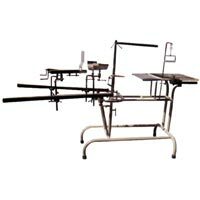 These Surgical Operating Tables offered by us are ideal for performing any kind of operation. 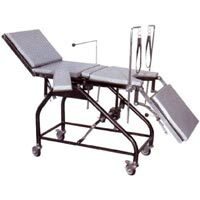 Clients can avail Surgical Operating Tables at industry leading rates from us. Straight, trendlenburg & reverse trendlenburg positions, chair, lithotomy positions, etc. Size : 72" x 20" x 32"
Tubular frame work on castors with brakes.